On 11.01.2019 in prof. Stanisław Skoczowski auditorium in the building of the Faculty of Electrical Engineering, the graduation ceremony was held. 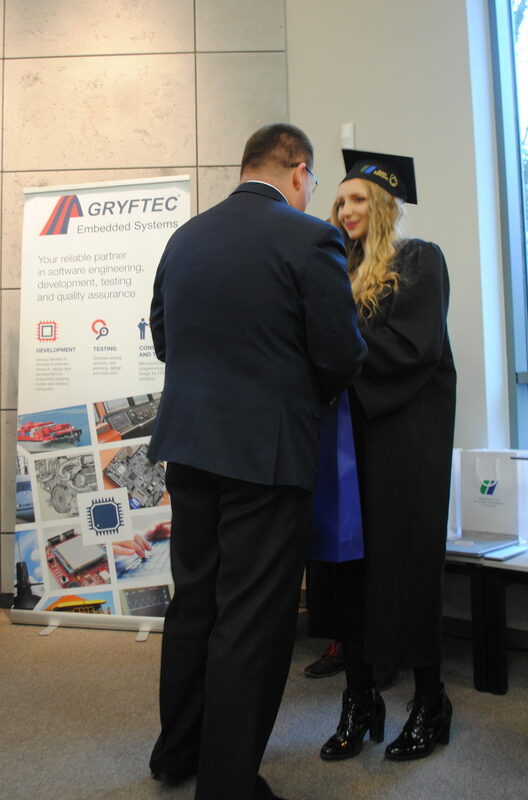 Gryftec Embedded Systems funded a special prize for the best diploma at first degree studies. 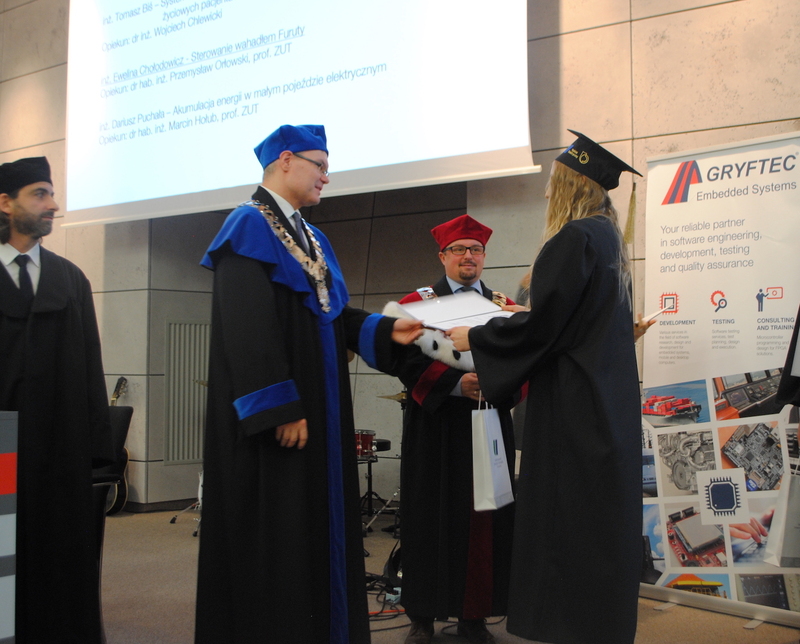 The award went to Mrs.Ewelina Chołodowicz, a graduate of Automatics and Robotics for the work titled “Control of the Furuta pendulum”. This award is an appreciation, to the achieved successes, knowledge and commitment in science. We’re convinced that such an ambitious person will successfully work on further development, achieving her goals. Once again we’d like to congratulate on high results on science, and wish further development and satisfaction with taking new projects.